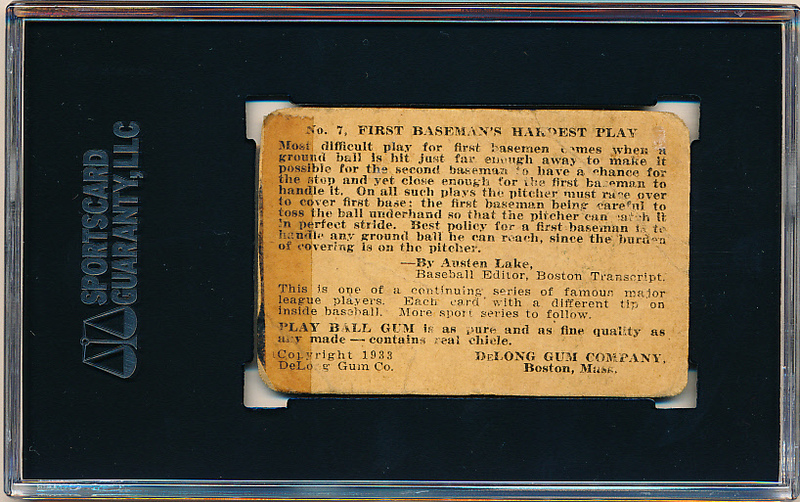 Lot Detail - 1933 DeLong Gum Co. Bb- #7 Lou Gehrig, New York Yankees- SGC A (Authentic)- Rare card! 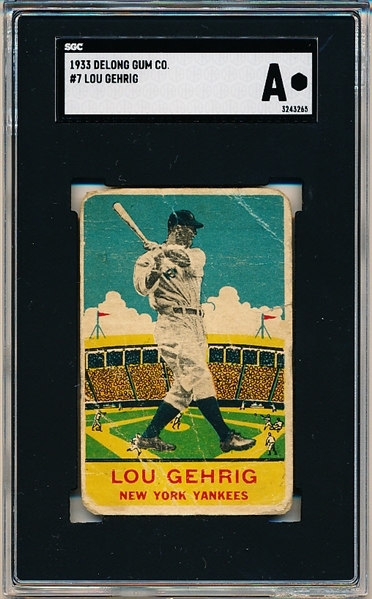 1933 DeLong Gum Co. Bb- #7 Lou Gehrig, New York Yankees- SGC A (Authentic)- Rare card! 1933 DeLong Gum Co. Bb- #7 Lou Gehrig, New York Yankees- SGC A (Authentic)- Rare card! – Looks fair 80/20 front with heavy creases. 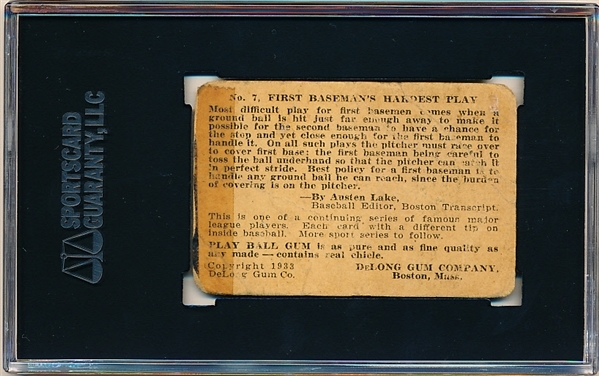 Back has 20% tape covering on top edge and a couple specks of paper loss (from heavy wear). Still a real card- I have only offered twice before!